This handsome devil of a pilot figure is now available from Frank Tiano Enterprises. At 15.5 inches in height, this little man is fully articulated and comes fully clothed with soft helmet, goggles and oxygen mask included. He will look right at home in most most 1/4 or 1/5 scale Meister Scale, CARF, Bates, Don Smith and Ziroli scale model fighters. 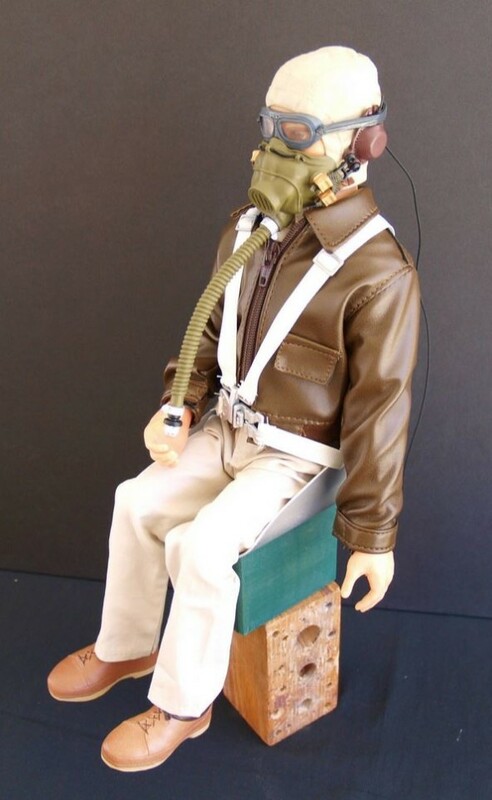 Remove the oxygen mask for a great look in a Balsa USA World War One fighter. Remove the Dogfighters head gear and you even have a fine looking civilian pilot!